Back once again with a renegade master! 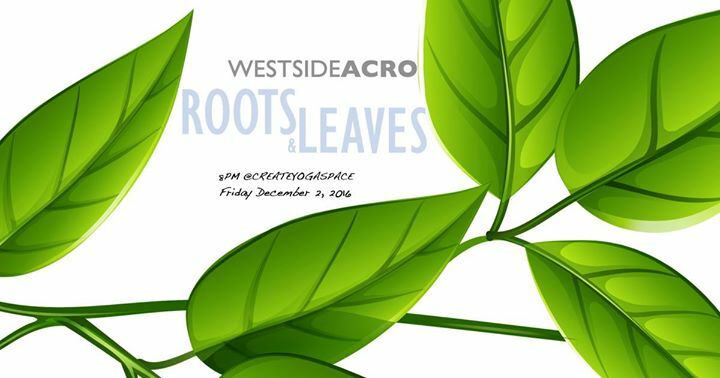 This week Westside Acro returns with more hard work as we explore rooting down into the ground to foster stability and grow strength. Back to arms this week we will work both up and down and pulling and pressing. Look for a continuation of our recent work with London Spins, plus some new machine work involving holding weight in our arms behind the legs. Look to be challenged and lifted and spirited away by the end of our time together. It’s going to be a really good time and I for one will be working hard to work off some of the weight I have gained bulking in the hinterlands. Hope you can come!! !